Newcastle Agri Terminal (NAT) in New South Wales, Australia, needed a belt conveyor with tripper and cover-belt able to meet rigorous environmental requirements. 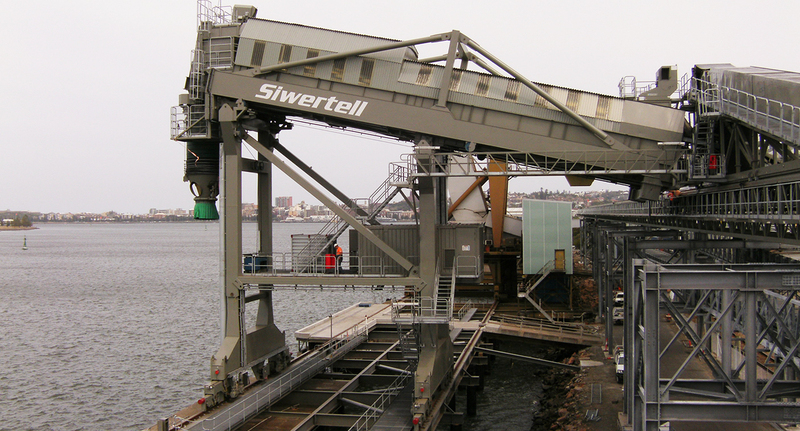 Siwertell designed a system to match the compact, tailor-made ship loader delivered as part of the same contract. NAT’s grain export facility in the Carrington precinct of Newcastle Port needed a jetty belt conveyor matched to the high capacity of its heavy-duty, travelling, belt-type Siwertell SBL 1600TT ship loader. The company wanted a clean system to minimise the environmental impact of its operations and meet strict local regulations. It stipulated that the chosen belt conveyor system must have a proven track-record for reliability and should be easy to maintain. 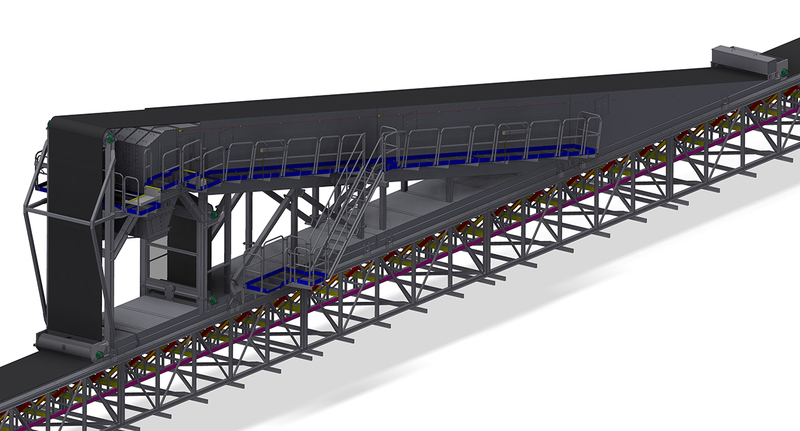 Siwertell demonstrated that it could provide a belt conveyor meeting all the operational, environmental and maintenance requirements. NAT was impressed by Siwertell’s well-documented reputation for efficiency and reliability. 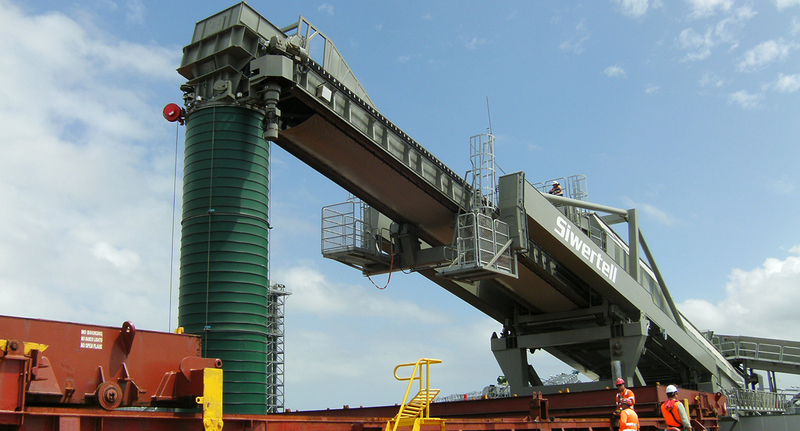 In 2013, Siwertell delivered a fully-enclosed, 182m-long belt conveyor and tripper discharge arrangement to complete NAT’s rail-travelling Siwertell SBL 1600TT ship loader. The 1,600mm wide conveyor belt is equipped with a cover belt and dust collectors to eliminate spillage and reduce airborne dust pollution to an absolute minimum. The dust collectors are positioned at all cargo transfer points. They maintain negative pressure in the system to eliminate dust emissions. Terminal operations began in 2014, meeting the projected loading and conveying capacities and fulfilling NAT’s ambition to deliver innovation and efficiency to Australia’s grain export chain. The consortium of owner-investors is pleased with its investment, along with Siwertell’s cooperation throughout the project. 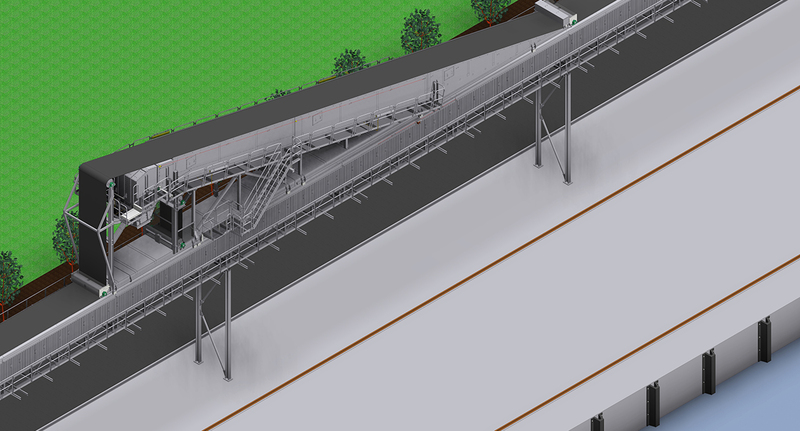 The new facility can store up to 60,000 tonnes of grain delivered by rail. It can load vessels at 2,000t/h in an efficient and environmentally-friendly way. This is a good example of Siwertell’s ability to design and deliver systems that meet a customer’s complex requirements. NAT will benefit from having sourced all its loading process hardware from one supplier. This eliminates issues relating to the compatibility of connections and any disputes about system responsibilities. It also makes servicing and repairs straightforward.